When I was young, a family friend had a macadamia nut tree in their yard. Even though the macadamia is native to Australia, it is not common to have your own tree. So it was a treat to occasionally come home with a handful of macadamia nuts after a visit. Opening a macadamia nut, however, requires patience, persistence and most importantly, brut force – often necessitating a hammer, or some other blunt object, to crack open the stubborn shells. The macadamia shell is a stark contrast to the softer shell of the walnut. Majestic groves of walnut trees are common landscapes that grace the valleys of the Périgord region, in the southwest corner of France. Walnuts feature strongly in cakes and desserts from this area, and this light, nutty Gâteau is one such example. 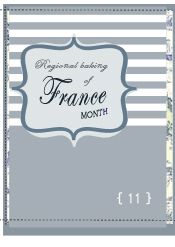 This recipe comes by way of French food authority, Anne Willan. It is quick to put together. And except for the last minute addition of caramel, can easily be made ahead. It would be a very elegant dessert, and perfect for entertaining. What a pleasure it would be to see the transformation of the humble walnut from the tree, into this not so humble cake. On those lucky days as a child, returning home with a handful of macadamia nuts, there was no such dessert, cake or pastry created. Though admittedly, I am not sure if there was adequate collective patience to crack sufficient nuts required for an entire cake! This was a very simple cake to bake. Made easier with the introduction of a new attachment. Recently, when profiled on the Daring Bakers website (‘Daring Members on the Spot’), I spoke about my favourite kitchen gadget and kitchen appliance. They were my indispensable silicon scrapers and my KitchenAid mixer respectively. So imagine my surprise when I got the chance to combine my two favourite kitchen tools, in one! I recently had the opportunity to trial a BeaterBlade. The BeaterBlade replaces the flat beater / paddle attachment for your KitchenAid. It includes a rubber ‘wing’ along each the side of the beater that provides superior mixing – and means you have to stop the mixer fewer times to scrape down the sides and bottom! To ensure a precise feel of the beater, I tested this blade on three different cake batters (to varying degrees of viscosity). This was the final batter. The result? I relived that feeling of mixing a batter, for the first time, with my very first bench top mixer. That feeling when you are standing back, watching and listening to the low hum of the machine do all the work – no pesky bowls and handheld beaters involved – while you get on with something else. That feeling was back, and it was a joy to bake with this attachment. The flat beater that came with my KitchenAid? Well, that is now my back up! I know they have been available in the USA for a while time (as I had read reviews from American pastry chefs including Dorie Greenspan and Rose Levy Beranbaum), and they are now available in Australia through FullyBaked. Heat the oven to 325˚F/160˚C/Gas 3. Toast the bread in the oven until very dry, 6 to 8 minutes. Let it cool, leaving the oven on. Break the bread in pieces and grind it to crumbs in the food processor. Add the walnut pieces and salt and grind to a coarse powder (the dry bread helps keep the walnuts light). Butter the cake pan, line it with a round of parchment paper, and butter the paper. Cream the butter in the bowl of a stand mixer fitted with the whisk attachment. Add half of the sugar and continue beating until light and soft, 3 to 5 minutes. Add the egg yolks, one by one, beating well after each addition and scraping the sides of the bowl to be sure all the ingredients are mixed. Beat in the lemon zest. With a spoon, stir in the ground walnut mixture. Using the mixer with another bowl, whisk the egg whites until stiff. With the whisk turning, gradually add the remaining sugar and continue beating until this meringue is stiff and glossy, 30 seconds to 1 minute. Fold about a quarter of the meringue into the walnut mixture to lighten it, and then add all the mixture to the remaining meringue. Fold the two together as lightly as possible. Spoon the batter into the cake pan and bake until the cake pulls from the sides of the pan and a skewer inserted in the centre comes out clean when withdrawn, 40 to 50 minutes. If the cake browns too quickly, cover it loosely with aluminium foil. Let the cake cool 5 minutes, and then turn it out onto a rack covered with a sheet of parchment paper. Strip the lining paper from the cake and leave it upside down (so it has a flat top) to cool completely, at least an hour. For the topping, put the sugar and water in a small saucepan and heat gently without stirring until the sugar dissolves. Raise the heat and boil until the sugar cooks to a golden brown caramel. Turn the cake top upwards and set it back on the rack. Take the caramel from the heat, let the bubbles subside and at once pour it over the cake, spreading with a metal spatula to make a very thin layer, letting it drip down the sides. Take care as caramel can burn badly. Decorate the cake at once with walnut halves so they stick to the caramel. The caramel will become crisp as it cools. When starting to set, mark portions in the caramel with a knife so the cake is easy to cut in wedges.